Advanced interoperability features make working with combined GPS and conventional survey data simple and efficient. All your survey project data is organized into a single Job file that can be loaded into a single office software package. Innovative features and capabilities help speed up and improve the accuracy of every surveying operation, from establishing control to topographic measurements and stakeout, for both GPS and conventional instruments. You can do all of your work from the real-time map display that shows you all the points, lines, curves and roads in the database, as well as a background map for your site. The graphical display combined with the touch-screen makes it easier to survey more efficiently. Audible messages alert you to important events as they occur. 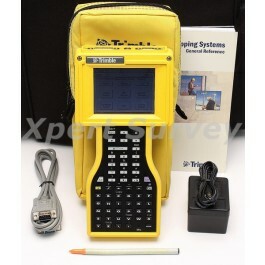 Is built tough, especially for use in the harsh surveying environment.